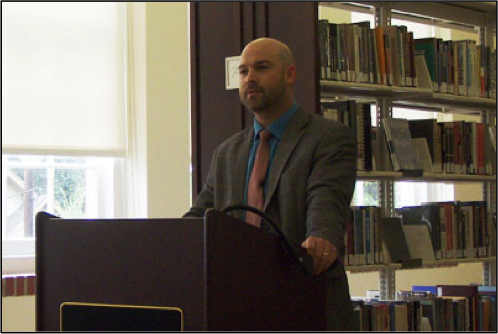 Phillip Luke Sinitiere is currently a Visiting Assistant Professor of History at Sam Houston State University. He also holds an appointment teaching history at the College of Biblical Studies, a multiethnic school located in Houston’s culturally rich Mahatma Gandhi District. In 2009, he received a Ph.D. in history from the University of Houston. In 2013, he worked as the Scholar-in-Residence at the African American Library at the Gregory School, from which the above photo comes, where he researched W. E. B. Du Bois and the Black freedom struggle in Texas. As a scholar of American religious history and African American Studies, his publications examine the American prosperity gospel, the history of evangelical Christianity, televangelism, African American religion, Black intellectual history, and the work of W. E. B. Du Bois. His books include Holy Mavericks: Evangelical Innovators and the Spiritual Marketplace, with Shayne Lee (NYU, 2009); Christians and the Color Line: Race and Religion after Divided by Faith, with J. Russell Hawkins (Oxford, 2013); Protest and Propaganda: W. E. B. Du Bois, The Crisis, and American History, with Amy Helene Kirschke (Missouri, 2014); and Salvation with a Smile: Joel Osteen, Lakewood Church, and American Christianity (NYU, 2015). At present, he is at work on a biography of James Baldwin for Rowman and Littlefield’s Library of African American Biography series. Visit his website here.